If you want to learn how best to utilize commonly found patterns and learn best practices in developing applications with Django, this is the book for you. This book, like Django itself, is accessible to amateur and professional developers alike and assumes little in the way of prior experience. Although written for Python 3, the majority of the code in this book works in Python 2 or can be easily translated. Learning how to write better Django code to build more maintainable websites either takes a lot of experience or familiarity with various design patterns. Filled with several idiomatic Django patterns, Django Design Patterns and Best Practices accelerates your journey into the world of web development. 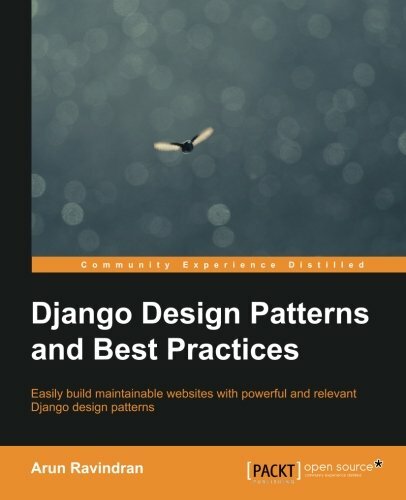 Discover a set of common design problems, each tackling aspects of Django including model design and Views, and learn several recommended solutions with useful code examples and illustrations. You'll also get to grips with the current best practices in the latest versions of Django and Python. Creating a successful web application involves much more than Django, so advanced topics including REST, testing, debugging, security, and deployment are also explored in detail.